since i’ve seen my calendar being posted on other sites (basically JOCKED w/o CREDIT) i have removed it from BBFansite & posted it here @ VIPtrans. it means don’t take. you can simply link back to our site. I recommend using TVANTS or LIVESTATION to view the channels. you need to DL the programs. check here for the latest me2DAY Updates from G-DRAGON. PLEASE DO NOT TAKE OUT. SIMPLY LINK BACK TO OUR SITE. having trouble viewing? right click for bigger image. Big Bang’s Taeyang will perform an opening act at Brian McKnight’s concert in Korea. Taeyang will perform an opening act at Brian McKnight’s concert, ‘McKnight at Night,’ which has been 8 years since his last visit, in April 1st at Seoul Jamsil Indoor Sport Stadium. McKnight, who wanted information of an artist for an opening, readily agreed to have Taeyang as soon as he saw Taeyang’s performance video. Taeyang, who is valued as a best black music style singer in Korea, is an artist who performs the most trendy R&B style music. 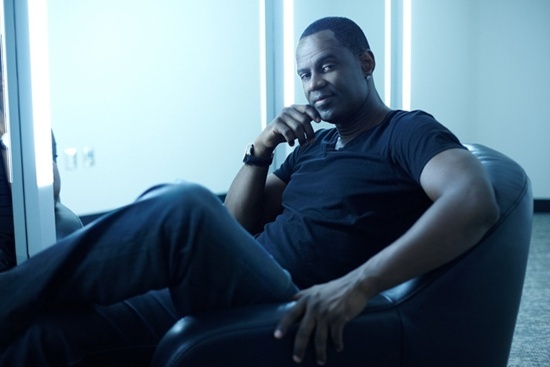 Brian McKnight will perform with his two sons, Brian Kelly McKnight Jr. (21), and Nicolas McKnight (18), who has been performing since 2007. [DS] It’s just the beginning, don’t hide, get it on, oh! check here for the latest me2DAY Updates from DAESUNG. In ‘Look at Only Me,’ he was a man who you couldn’t stop loving even though he’s self-centered. Taeyang (21) is now in unrequited love. He came back as ‘Taeyang,’ not as ‘Big Bang’ with a song, ‘Wedding Dress’ that talks about a man who experiences unrequited love and how he feels miserable. It has been a year and a 1/2 since his first solo mini album release. How much he has been changed? Taeyang, off stage, is 21 years old and still shy. He, who isn’t good with strangers said, “There a reason why I can’t appear in variety shows like Seungri,” and smiled awkwardly. Like what one fellow singer quoted, “Taeyang’s performance on stage was the best in Korea,” Taeyang is a person who has strong charisma that no one can approach on a stage. But, you will be surprised once again for his sweet charm if you meet him in comfortable environment. Taeyang said he wrote about how he felt when he used to like someone for ‘Wedding Dress.’ He does know how to love, not just work. Music, of course, is Taeyang’s life. Taeyang is here because of music and it gives him energy to live. Conversations always went back to music from any topic. Music is the driving force that helps him stay alive. He willingly gave up the happiness that he could’ve had during his childhood, and he’s ready to endure all the hardships that he has to go through for his future. But he’s recently developed a small desire to get rid of the “guy who’s never dated” tag that’s been attached to him since he turned 20. Reporter gave him an advice that “you should date secretly since it would be difficult if there’s a scandal,” but Taeyang said, “I will give you a call later when I get a girlfriend. I want to tell people fast,” he bragged. He can’t have a girlfriend because he doesn’t think he has the confidence to be nice to her. 21 years old, and he’s already thinking too maturely, but he thinks it’s just a start. Everyone has a time when they dream about their future. But once you turn 20, your dream disappears and life gets busy to live everyday. But Taeyang is different – he is living with strong and hot passion just like his name. Taeyang Digital Single [WHERE U AT] Information Released! Big Bang’s Taeyang will be coming out with [Where U At] after 1 year & 5 months since his last solo release. Taeyang, who left a strong impression on audiences & critics alike with his first solo mini-album [HOT], with hit singles including “Look Only At Me” & “Prayer,” received recognition as the famous idol group, Big Bang’s lead singer, as well as a solo artist through his mini-album. The lyrics for “Where U At” were written in consideration of 22-year-old Taeyang, who has never had a girlfriend. The touchy story is reflective of Taeyang’s situation, imagining his future girlfriend who’s out there somewhere. Much to expect from Taeyang as to what type of style & music he’s going to promote with his activities beginning with “Where U At” to his official album, so please take interest & give support. DIGITAL SINGLE WILL BE RELEASED on OCTOBER 15th, 11:00AM online. check out taeyang’s official site.